Californicus mites are tolerant of a wide range of climatic conditions and can be used at times where other species may struggle. They can work in harmony with Persimilis to manage a difficult situation. Neoseuilus californicus prefer humidity of 60% or higher and a temperature range of 16-32°C. It is important that the crop is well watered and in a good state of health to ensure best conditions at the plant surface where the mites are active. Neoseiulus californicus is an aggressive and robust predator. It is tolerant of a wide range of temperature and humidity conditions and is used widely overseas as a powerful biological control agent. Californicus is able to survive well even at low prey densities due to their ability to use alternate prey and pollen as a food source. Check prior history of chemical applications to ensure toxic residues are no longer present. Some chemicals have a long persistence and this will need to be considered. Generally high temperatures, exposure to ultra violet radiation and rainfall will accelerate the degradation of harmful poisons. Chemicals vary widely in their toxicity to these predatory mites so you should check with us if unsure. It is always best to commence releases of biological control agents before you have a serious pest problem. Ensure the crop is well watered and in good health as much as possible as this will aid establishment. For established infestations of pest mites release at 10-20 predatory mites per sq metre three times at intervals of 1-2 weeks depending on the pest pressure. As a preventative measure release at 5-10 predators per sq metre three times at two weeks apart. 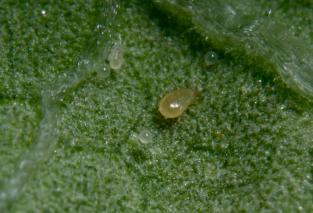 Monitor the population of pests and beneficials at least weekly. The number of predatory mites released and the interval between releases can be adjusted to match perceived pest pressure, rate of build-up of the predators and prevailing conditions. An ongoing regular release program may be warranted in dynamic environments where plant movement occurs regularly or other influences (such as fungicides) may adversely impact the predators. Ensure the plants are well watered and in good health. 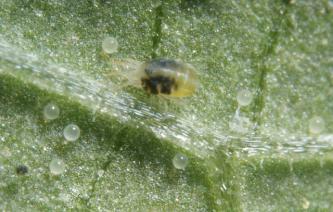 A relative humidity of at least 60% is best for californicus mites. If necessary consider additional wetting of floor and bench areas (in protected cropping environments) to improve the conditions required for successful establishment. Avoid the application of any pesticides for at least three days after release if possible.